The Direct Skin-to-Screw driver is comprised of a patented screwdriver, tower, pedicle screw, k-wire and our novel control handle. It is assembled on the back table. 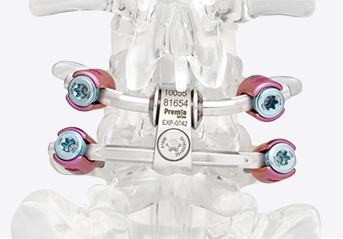 The patented instrument allows the surgeon to independently control the pedicle screw and k-wire. 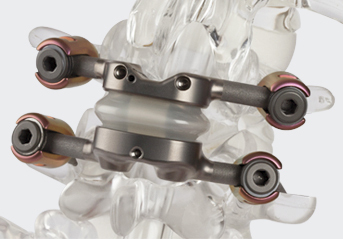 Typically, a surgeon extends the k-wire a couple millimeters beyond the screw tip, anchors the driver at the desired bone entry point, advances the screw, backs the k-wire into the body of the cannulated screw and safely completes the screw advancement. The time from skin incision to screw placement for a single-level fusion is 3 minutes, saving an average of 15 minutes of operating room time. 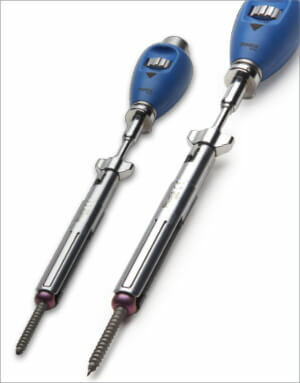 The technique eliminates all the complications associated with a traditional k-wire technique. 200 Timed Screw Placements with ProMIS System. Dr. Steve DeLuca. UPMC West Shore Hospital. Harrisburg, PA.